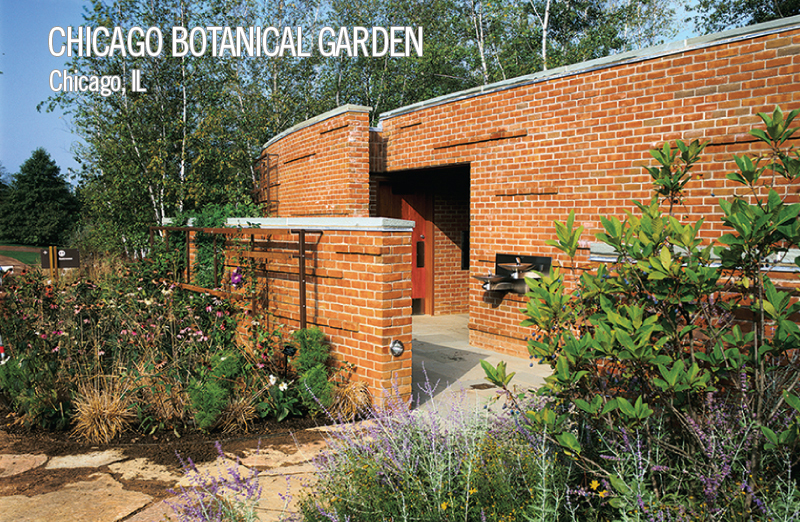 Botanical Park Our contribution to this major landscaping project on the Evening Island site was the creation of two pavilions, a comfort station and a maintenance facility, that integrate seamlessly with the surrounding gardens. Above all, the facilities are designed to be functional yet inconspicuous, so as not to detract from the gardens themselves. 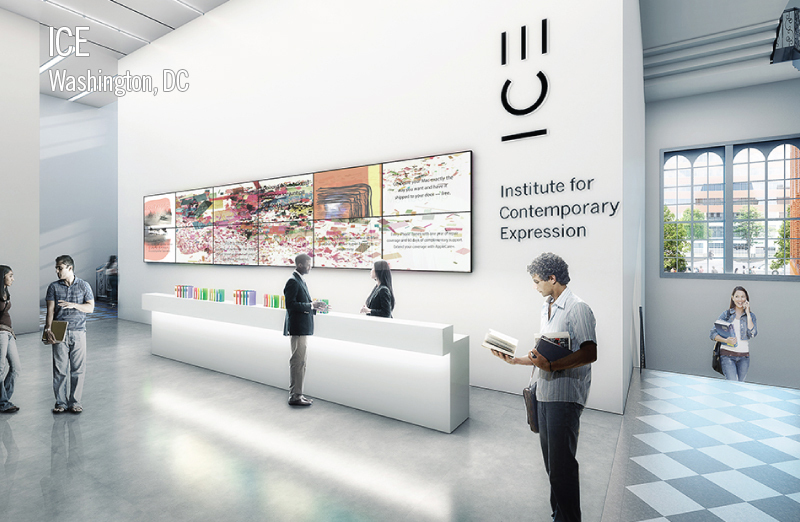 Art Institute & GalleryThis project is a conversion of Franklin School, an historic D.C. landmark, into The Institute for Contemporary Expression (ICE-DC), a new, dynamic arts institution in downtown Washington, D.C. The project contemplates spaces to host temporary exhibitions, a restaurant, a cafe, a bookstore, a large performance space, and an outdoor sculpture garden. 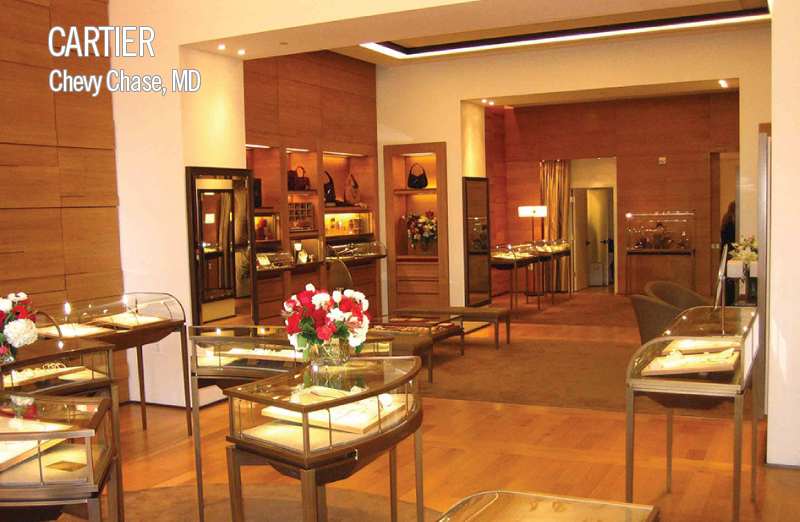 Retailing StoreWe have designed two retail spaces for Cartier. One in Chevy Chase, MD and one in Tysons Corner mall. 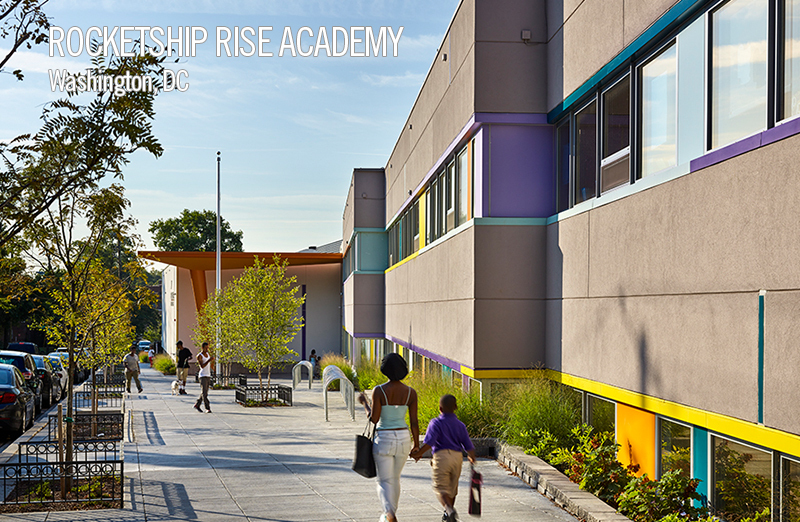 K-12 EducationPaul Public Charter School is a 135,000 sft renovation and 30,000 sft addition of a former DCPS junior high school. 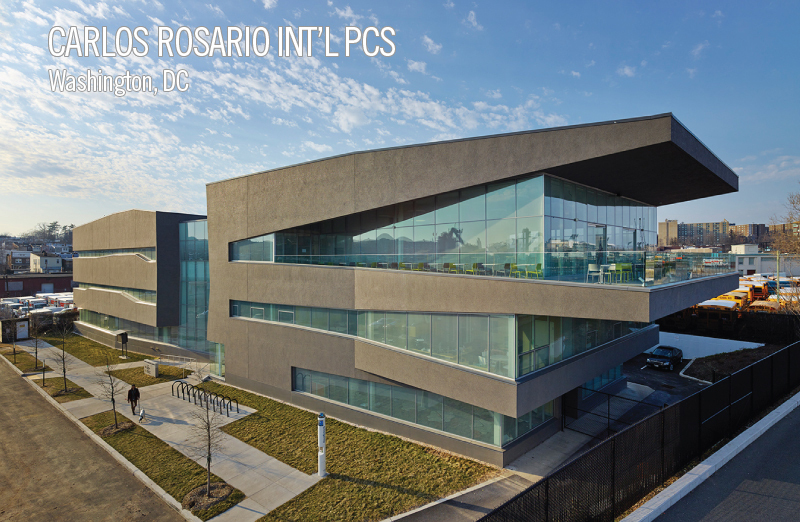 Located in Northwest Washington DC, the facility modernization effort was geared toward the specialized program developed by Paul PCS founder Cecile Middleton. The students participate in an integrated multi-disciplinary program of Academics, Arts and Athletics. While the original school building primarily addresses the academic programming, the addition responds to the arts and athletics needs of the school with a new double gym, dance studio and art center. Adult Education|Higher EducationProject consists of three (3) stories above grade and partial basement. Building program includes main common atrium space, resource center, office space, English and computer classrooms, four (4) culinary labs/training kitchens, nursing aid training lab, cafeteria, and outdoor terrace. The students served are college-age. K-12 EducationRenovation of 70,000 sft at existing historic facility. The Addition to Hyde Addison Elementary School complex includes almost 30,000 square feet of new space. This space will contain gymnasium completed with a basketball court, stage and bleacher seating, music room, health suite, cafeteria, library, 4 classrooms and some administrative functions. Addition also connects two existing historic buildings and new space into one coherent facility.